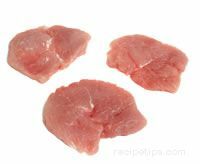 Cutlets are thin boneless pieces of meat that weigh 4 ounces or less and are taken from tender cuts, such as the tenderloin and loin. They have most of the fat trimmed off and are generally pounded to ensure uniform thickness and to thin them out so that they will cook evenly and quickly. Pork patties are made from boneless meat or ground meat that has been formed into a round, oval, or chop-like shape. 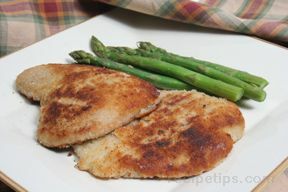 They are generally fully cooked and some have been breaded or coated with sauce. 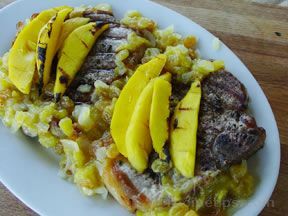 Coarsely ground ham or chunks of ham that have been pressed and formed into a round, flattened patty, which are generally prepared by baking, grilling, broiling or frying. They are available packaged as a canned product and as a frozen product. Chunks of ham that have been precooked and packaged in a can. The cans are tightly sealed to preserve freshness of the meat and the meat generally does not need refrigeration until the can has been opened. 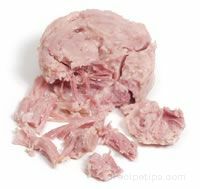 The canned ham can be used in recipes that call for chunks of ham. 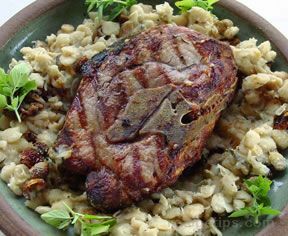 Ham meat or a mixture of ham and pork shoulder meat that is cured and then cooked with water, spices and other ingredients. The meat in some deviled ham is also smoked. After the meat and other ingredients are cooked, they are finely chopped into a minced meat and packaged in a can and sealed. The spread generally is mixed with a combination of other ingredients, such as sour cream, cream cheese, mayonnaise, mustard, cheese, chopped vegetables, and spices. 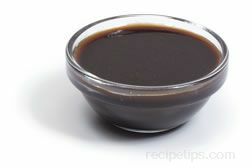 The spread mixture is used for sandwiches, as an appetizers to spread on crackers, or as a meat dip. The shank is the lower section of the front shoulder or hind leg, above the feet. It is most often cut from the front leg, which contains a lot of bone, but adds much flavor to soups and stock. Pork hocks are cut from the shank cut. Pork shanks are generally braised or cooked in soups. Pork hocks are cross cut sections from the pork shank. They are available both fresh and smoked. Fresh hocks are most often cut from the front leg and the smoked hocks are from the shank of the hind leg. Pork hocks are also found sold in a jar as a pickled product. 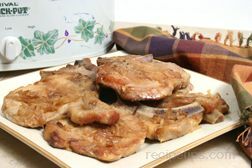 Pork hocks are prepared in the same manner as pork shanks, which is generally braising or cooking in soups. 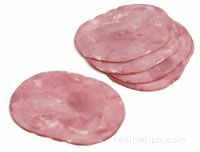 Canadian bacon is a fully cooked and smoked cut that is taken from the loin. 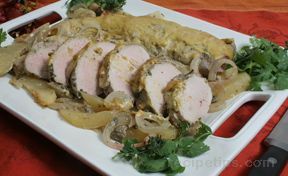 It is much leaner than bacon from the side/belly with a texture and flavor closer to ham. 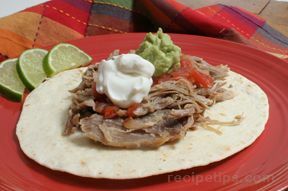 It is a popular breakfast meat but is also used as an entrée, on pizza and for sandwiches. Cottage bacon is made from the leaner pork meat in the shoulder cut. It is generally shaped, cured, and then sliced into round pieces for baking or frying. This form of bacon is similar to a slice of ham and can be served for breakfast or as a luncheon meat for sandwiches. Bacon is taken from the portion of the side/belly that is left after the spareribs are cut away. Bacon is cured, and generally smoked, and then sliced, into thin or thick strips. It is also available in unsliced slabs. 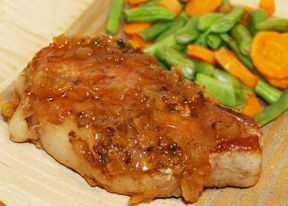 The strips generally contain more fat than lean, which when cooked most of the fat melts off, leaving the bacon strip with a delicious flavor. It is generally sold by the pound and can also be found precooked, ready to heat and serve. Other varieties that may be found are maple and honey flavored, sugar free, low fat, and low salt. Precooked bacon is fully cooked and packaged. It only requires heating in the microwave before serving, providing convenience in preparation. Pieces of crumbled bacon, which are fully cooked and ready to use. The bacon pieces are available crumbled in fine bits (bacon bits) and also in a little larger pieces (bacon pieces). They are used as a garnish for or an ingredient in salads, dressings, potatoes, omelets, quiches, soups, pizza, dips, snacks, and spreads. Salt pork is taken from the same portion of the pig as bacon, with only the fattier areas used. It is salt cured but is not smoked. It is generally blanched to remove the excess salt before it is used. Salt pork is basically used to add flavor to other foods. A cut of pork taken from the fresh pork side of the flank area. This cut can be sliced and sold fresh, but is more commonly smoked, cured, sliced and then sold as bacon. The meat from the shoulder of the pig is minced or ground to produce ground pork. 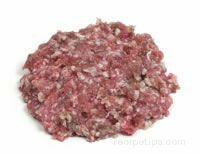 It can be prepared in the same manner that ground beef is prepared. Ground pork is sold in bulk by the pound and can also be found formed into round or oval patties. Cubes and strips are cut from all of the primal cuts except the side/belly. Cubes may vary in size, with larger cubes used for kabobs and slightly smaller ones as stew meat or in other dishes. 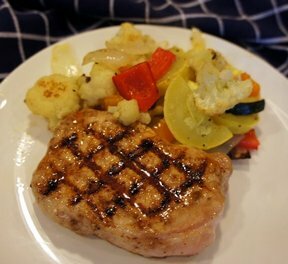 Pork strips are used in stir-fries, salads and sandwiches. The cubes and strips are generally sold by the pound. Stew meat is similar to cubes of pork, only they are smaller in size and are generally cut from the tougher cuts of meat. They benefit from slow moist cooking. Frankfurters are processed from the combination of pork trimmings, seasonings and curing ingredients. The trimmings are ground and then the other ingredients are added. They are available in fine or coarse ground varieties. The mixture is stuffed into a casing and then cured, smoked, cooked, and cooled. Once cooled, the casings are generally removed and the franks are vacuum-sealed in packages. 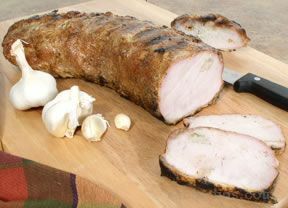 They are also available with the casings left on and can be found made from pork, beef, turkey, chicken, or a mixture of these meats. 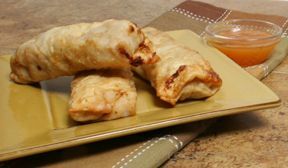 They can also be found with ingredients such as cheese and peppers added. Pork rinds are light crunchy chips made from pork skins that are deep-fried in lard. 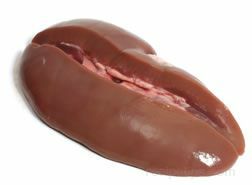 They are high in protein and contain no carbohydrates. They are available in flavors such as BBQ and salt & vinegar. 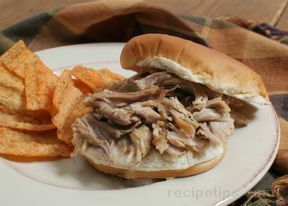 There is also a pork rind product available that is cooked in the microwave to provide a fresh warm snack.